An on-screen exchange of words between ​Atletico Madrid strike pair Antoine Griezmann and Fernando Torres may have given another clue as to where the French attacker's future lies this summer. Griezmann endured a tough match against Eibar on Sunday evening, and Torres' words caused the 27-year-old to break down into tears. It's long been reported that Griezmann will be leaving Atletico Madrid for ​Barcelona this summer. Even though reports have emerged of ​Griezmann telling his teammates he wants to stay at the Wanda Metropolitano beyond the summer, there's a feeling that it's only a matter of time before he departs. It's all a bit toxic for everyone involved with the club - especially the fans, who, on Sunday, gave Griezmann one hell of a tough ninety minutes. The attacker was greeted by his own fans with boos and jeers, making it evident how they felt about his situation. But there was one important moment between Griezmann and Torres that seemed to confirm the rumours of his departure. "A ti no te vamos a reprochar nada". Y Griezmann rompió a llorar. 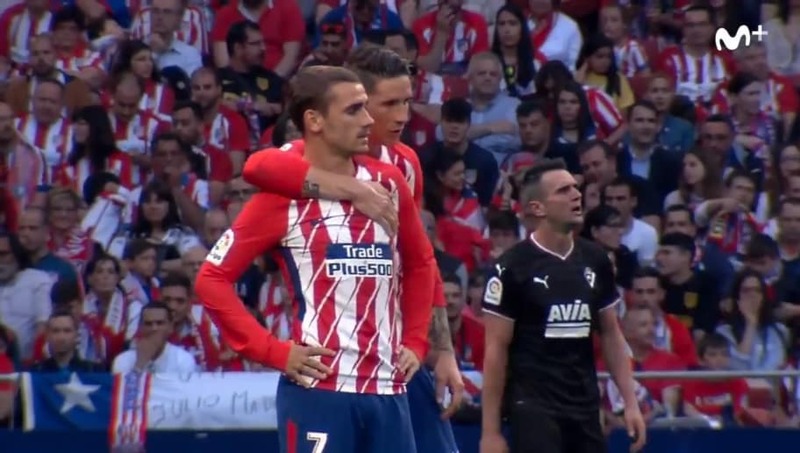 ​"We're not going to reproach you for anything," Torres appeared to tell Griezmann (in Spanish, of course), before the Frenchman broke down into tears on the pitch. It could've been the atmosphere, the occasion, the hay fever - all sorts of circumstances that built up the cause for emotion. Or, as the papers would love for us all to believe, it could've been the fact that Griezmann knows this was his last match for Atleti, and Torres is only reminding him of it. Either way, Torres makes it clear that he and his teammates will hold no grudge against Antoine.